Getting Paid More and Faster! Medical Billing Solutions has been helping private practices get paid more, and faster for over 17 years! Our medical billing services will boost your bottom line. Bringing you peace of mind so you can focus on patient care. Ready For Your Practice To Soar? Let us increase your collections on average by 10% or more. We provide practice financial analysis, auditing, fee schedule analysis and medical record auditing. 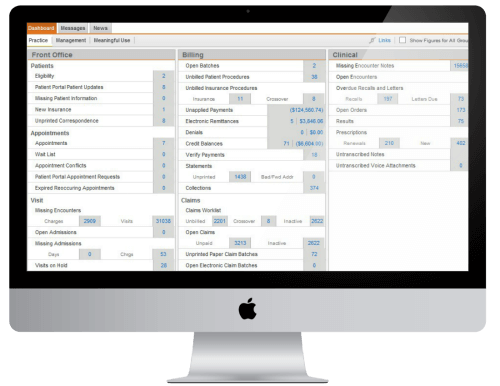 Easy to use, customizable EMR with integrated PM for optimized quality, performance and patient experience. 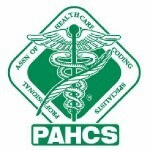 Get Physicians Paid More and Faster! 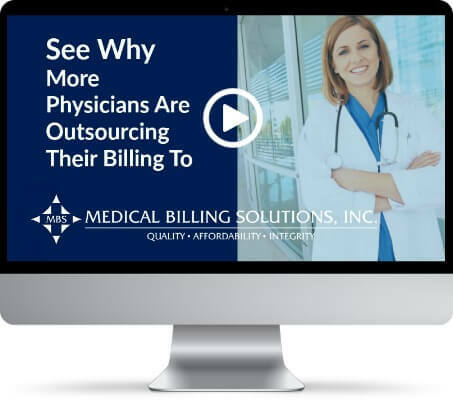 Medical Billing Solutions, Inc., a nationwide medical billing services, practice management and revenue cycle management (RCM) company, provides physicians with complete medical billing services and free Practice Management Software. Medical Billing Solutions, Inc. also provides EMR software through Harris CareTracker, a world leader in the healthcare industry. Take a tour of our office and hear more about our medical billing services and electronic health records by clicking on the video player to the left. Then get started by requesting your free practice analysis! Streamline your medical billing process so your claims will fly through insurance companies faster to get your money quicker. We get you paid for all the work you do. No more worrying and stressing about unpaid claims. We take on the frustration of dealing with insurance companies for you and make sure you get paid. Real people answer your calls and are available for your questions. Same goes for your patients with billing questions. Call us now and see. Get the reports you need to run your practice better. See where your office stands financially with our simplified, easy to read monthly report package. 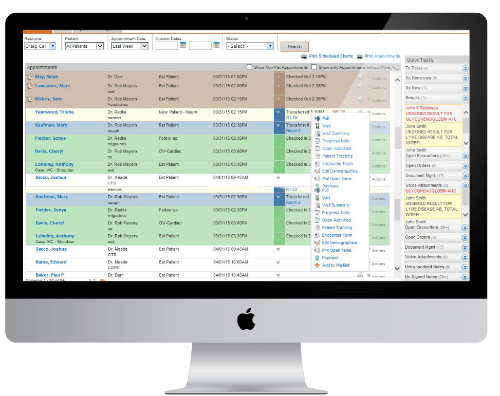 Harris CareTracker, an ONC Certified HIT 2014 Edition Complete EMR that integrates fully with all the operational functions of the practice, helping you to achieve greater efficiency through smoother day-to-day operations. This simplicity strengthens the patient-physician experience, improves quality, and reduces costs. Harris CareTracker offers attractive economics that facilitate essential improvements within your practice and is guaranteed to meet meaningful use requirements.